This one is important, I really hope you read it through carefully and think about it. No need to elaborate too much on it but old days for SEO are long gone. It’s not like spamming doesnt work anymore (far from it). Its that SPAM has the same idea but it has to be adjusted to the current days. There are few additional factors you have to think about, Im not talking backlink relevance, building authority, social presence etc. I’m talking about the TIME to see results, no matter if you blast 1000’s links from GSA or using pure white hat methods. For me, Google (or any other search engine) works the same way as it was in the past in terms of, its mechanism. What has changed now is amount of websites the machine has to work with and additional trolls that Google designed to test your site ( panda, penguin, content checker and so on ) All of that affected the time to see the website rank changes. Trolls chief, Google sandbox. It is an algorithm that holds ANY site from ranking from the start to see (test) if it is real and valuable or a spammy money maker. It’s another proof and reason why you HAVE to think seriously about the time and patience to see the effects. It is also a very useful “tool” in my work which helps me to see how competitive keyword I work on is. While testing a website I see how quickly SERPs will react to it. You have to be patient, like really patient. I also advise you to get some other jobs done, it can be building more sites, finding regular job, hobbys etc. You must understand that we move into weeks and months mindset, not days like in the past. testing, (aka poking website) can take up to 90 days !! I see results for challenging keywords in around 45-60 days. Some phares don’t show up in SERP even for 6 months – nothing wrong with it ! I always tell my clients that it is impossible to rank any website in less then 3 months and it’s not because I want their money for a long time. We are talking good, settled rankings that last for long time. These days, you have to see 6 months minimum to have benefits from your work. Most of my big projects are being reviewed after 6 months, serious money income comes after at least 12 months ! 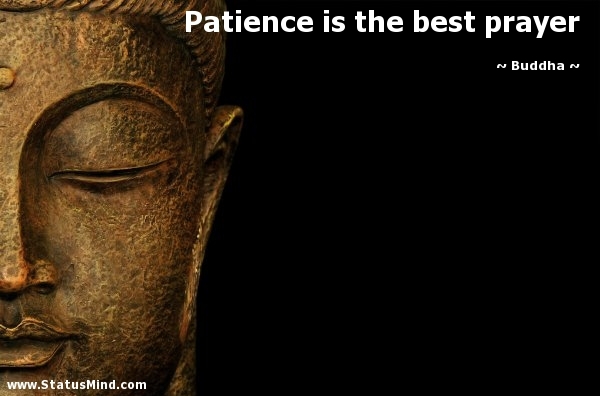 PATIENCE & TIME, thats what you need to master my friend ! This one you can’t master. Best if you don’t think about but be aware that luck is the part of the SEO game. Propably I’m the first SEO person to tell you that – yes, LUCK is a part of SEO. You might rank faster or slower, got deindexed, not see any SERP changes and more. You will be furious, you will look for somebody to blame or ask some SEO service magician for money refund – its normal and understandable. I’ve never considered myself as a lucky person, I don’t even think I’ve ever win any prize in any contest. Riding mountain bike for the past 10 years and I have never had any accident while racing ( do race a lot at national level) but I crashed simply riding on pavement – that’s just my luck. Why do you target good, profitable keyword just from one site? Build 3 or 10, make it happend to rank from few websites and don’t cry that one tiny website “doesn’t work” Think in scale ! Am I out of luck ? I can’t rank ! If you have ever faced downtime for SERP movements (might even take months) don’t break things apart. Get to the basics, check your website, analyze backlinks profile and start from small changes. Now wait, wait to see effects. Nothing has happened ? add a new change, it could be a new strong backlink, social signals, just do one thing at a the time and wait (patience my young jedi) to see results.